METAL - International Fair of Technologies for Foundry organized by Targi Kielce is the most important event for foundry business in Central and East Europe. The next edition will take place from 25th to 27th of September in 2018 in Kielce, Poland. 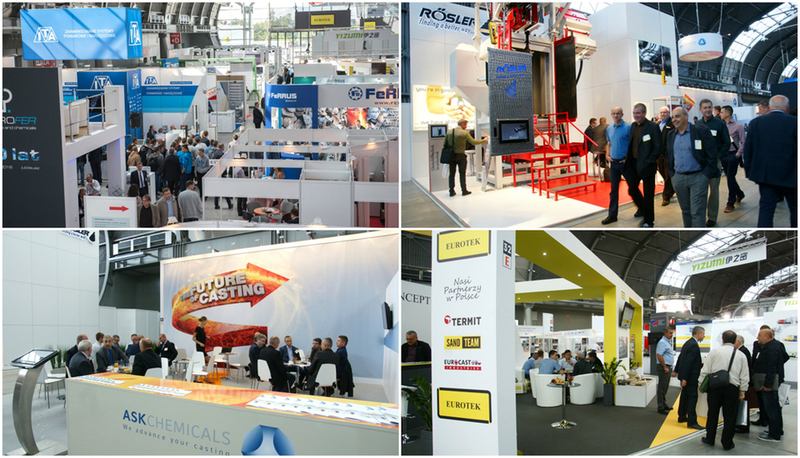 METAL with accompanying events ALUMINIUM & NONFERMET, RECYCLING and CONTROL-TECH bring together almost 300 companies from 27 countries. The expo is visited by 3000 business insiders who represent foundry and smelting, shipbuilding, machine construction, automotive, and aerospace business sectors. One of the biggest advantages of METAL is a rich programme of accompanying events: industry conferences and seminars bring together the region's leading industry experts. In 2018 METAL will be combined with World Foundry Congress in Krakow. On 26.09.2018 the Congress participants will take part in the off-site session held at the METAL trade fair in Kielce.